Despite testing you on 3 years worth of undergraduate sciences, the MCAT is not an exam of mere content. Instead, it’s an exam that tests your ability to endure, reason through difficult experiments, and make a correct decision under pressure! All those hard sciences, with literally seconds to decide answers. And so, despite all the initial hours invested into content review (can’t skip this), the best way to prepare for this exam is by taking Full Length practice tests. In working with hundreds of premeds every year, this is the step where I see many students breakdown. Often misguided, and trying to do their best, to go full steam ahead, misuse time and resources. The students that follow an endless cycle of full length testing without improvement find themselves quickly burning out. 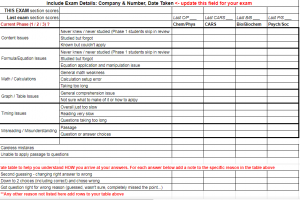 What is the purpose of taking a full length practice exam? To see where you stand, to measure your progress, see how you rank/score right now. Because this is only the first step. There are 3 steps to gaining the most out your full length practice, and to ultimately see your scores rise. The average MCAT student hits 1.5 out of 3 of these steps. The first step is most crucial. 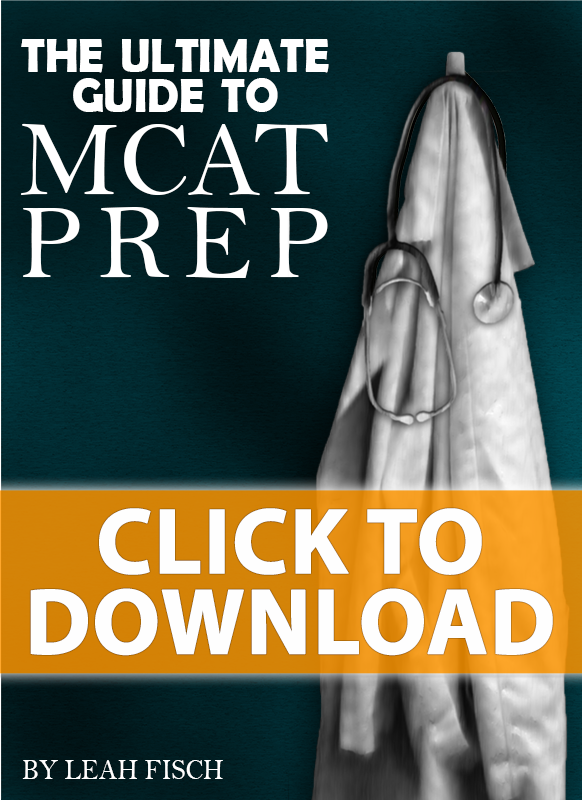 Just the act of taking a full length practice MCAT under realistic testing conditions will give you very important feedback. 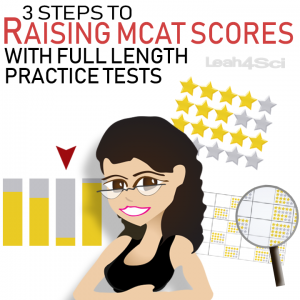 Set a target MCAT score and evaluate how close you are to reaching it with each practice exam. Do you know what to expect (overall) going in every section? Are you comfortable navigating the exam? How do you feel about the timing in each section? How do you feel about the overall exam duration? Have you built up your endurance to handle the full 7.5 hour exam? How can you accurately see where you stand? Treat every practice exam as if it’s the real thing. This means taking it under realistic testing conditions. Are you starting your practice exams at 8am? Get dressed, eat breakfast, and go about your pre-testing routine (whether that is reading something motivational, writing affirmations, meditation, or yoga/stretching, etc). Turn off all distractions especially your cell phone, not just for each section, but for the ENTIRE exam duration. 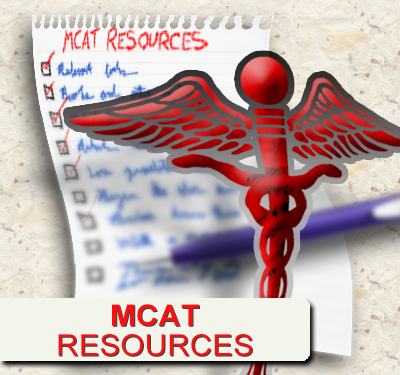 Take the exam timed, taking only the appropriately allotted breaks (review: full breakdown of MCAT timing). NO food/water except DURING breaks. This includes water/coffee and gum/mints. No digital cheating. This means no calculator on your computer or external, and no ‘word search on screen’ help. And while you may not be able to replicate the intensity test day nerves, your goal is to get everything else as close and realistic as possible. By the time test day rolls around, a lot of this will feel routine and familiar (dare I say even comfortable?) putting you ahead of some other testers. 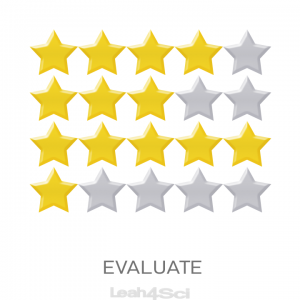 How you review makes a HUGE difference. Focusing on the individual questions is like holding a microscope over an intricate painting. But are you seeing the big picture? 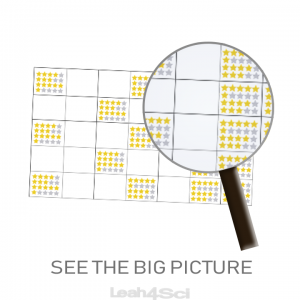 Keep a ‘big picture’ list as you review the individual questions. And keep a running tally. Take a step back once you understand what happened on EACH question. I have my MCAT Study Hall Members fill out an exam review table after reviewing each full length. Is there a pattern in each section? If you missed 17 questions in the chem/phys section and try to fix them all before your next full length: you’ll find yourself splitting your focus, getting distracted, and not putting in enough effort into the individual causes. But what if those 17 questions are grouped into 6 different ‘issues’. And of the 6, the majority of lost points come from one BIG issue? THIS is what you must identify. What is the ONE biggest reason for lost points in each section? For example, Phase 1 students tend to miss the most questions due to content or timing issues. Would you expect your next full length to be slightly better as a result? Now do this for every section. Look for the ONE reason that cost you the most questions per section. Which brings us to #3. THIS is the step missed by most students. Say you identified timing as your biggest issue. Say you identified misreading questions/choices as your biggest issue. Do you just take another full length and hope to do better? Without the instant feedback letting you know if you’re doing it correctly. To fortify one weakness, you must isolate the efforts so that you can focus on it 100%. Go into every study block with ONE goal. What is the ONE issue you need to work on for this section? If content is your biggest issue, set aside time every day to review the topics that gave you trouble. Then set aside EXTRA time to do at least 15 minutes of daily Active Writing. What better way to improve than by isolating the issue? How? Small but frequent blocks. Where you go into the passage set with the ONE focus in mind. This could mean reading it slowly, mouthing the questions silently, or even reading the questions twice”. And make a plan of how to tweak your approach in the future. later in the day or the following day. 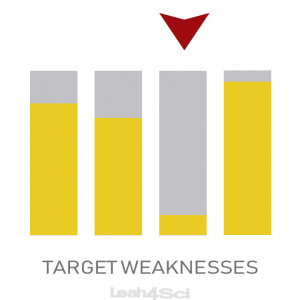 By giving yourself small targeted study blocks, you can focus on your issues. And you have time to practice more/differently to improve even more. This is why I don’t recommend overdoing your full length practice exams. Just 2 full lengths each month in phase 2. And no more than 1 FL every 4-6 weeks in phase 1, ideally every 25-33% content progress. In phase 1 you get time to progress in content between exams. And another full week to work on the identified issues. When you sit down to your next full length you have a much better understanding of your issues. And you’ve put in targeted effort to ensure your past ‘issues’ don’t hurt you as badly on your next exam. One week of practice (phase 2) is not enough to completely fix an issue. However, this approach will have you much better prepared for your next full-length. Especially compared to a flurry of back to back full length exam taken without a strategic plan to increase your scores. What advice have you heard regarding frequency of full length exams?